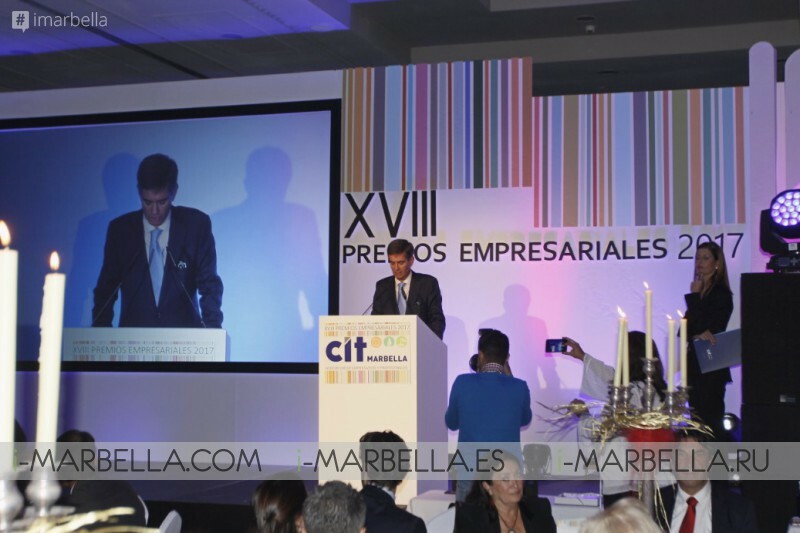 More than 350 people joined us for the CIT Business awards @ Puente Romano, Marbella this November 24th of 2017. The winners of the XVIII CIT Marbella 2017 Business Awards, recognized for their impeccable work during this year were announced and praised. This year honoured was D. Fausto Martínez, of FM Consulting and the Multiple Sclerosis Association Marbella-San Pedro and the "Luis Cierco Special Prize for the Marbella Tourist Promotion" has been given to The Global Gift Gala Foundation recognizing among other things their amazing job bringing new beneficial events through the year. This meeting, which is considered the most important of the year among businessmen, was attended by important public authorities of the city such as the Mayor of Marbella, Ángeles Muñoz and a good part of her Government team. Other important authorities of the region such as José Luis Ruiz Espejo, Monsalud Bautista, Susana Ibáñez, Francisca Caracuel, Margarita del Cid, Antonio Carrillo, Jerónimo Pérez Casero, Luis Callejón, Cristóbal Fernández Páez, Manuel Cardeña, and other representatives of the State Security Corps and Forces and members of the Municipal Corporation, made a presence and supported this important event in the aid of the city’s development. Not only that, CIT awards of Marbella has counted with many sponsors this year including the Official Chamber of Commerce, Industry and Navigation of the Province of Malaga, Málaga Deputy, Marbella City Council, Acosol, Ministry of Tourism and Sports of the Junta de Andalucía, La Zagaleta, Playas del Duque, Unicaja, Peñarroya Group, International Language Institute, Vithas Xanit International Hospital, Les Roches Hospitality Management School, Buchinger Clinic, Clínica del Río, Puerto José Banús, Hidralia Comprehensive Water Management, Marbella Casino, Turkish Airlines, Berrocal Florists and Soto Exclusives. 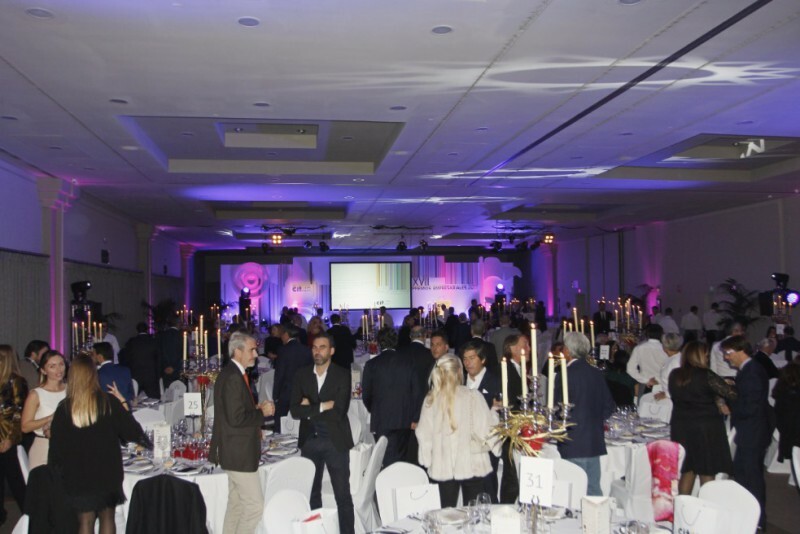 Also, the organization of the act was supported by companies such as UHY Fay & Co, Mena Seguros, Specsavers Marbella Optics, Conformas, Aquafarma 2000 Laboratory, Gestoría Bocanegra, Ruiz Ballesteros Attorneys and Tax Advisors, Gilmar Real Estate Consulting, Yoigo, Kyo Textile Image, Martínez- Echevarría Abogados , Puente Romano Beach Resort & Spa, Digital Events, Ofiprint, Anguis Creativos, Onda Cero Radio, Cope Marbella, Radio Television Marbella, M95 TV Marbella, Diario SUR, Cadena Ser Marbella Costa del Sol and Marbella. This way, the night went out perfectly as the guests enjoyed a magnificent meeting by the hands of Puente Romano’s best chefs and staff but let the pictures speak for us. The Association of Entrepreneurs and Professionals CIT Marbella was born in 1989 on the initiative to foster Marbella’s main industry: tourism. CIT Marbella presents suggestions of interest for the improvement of tourism planning to official bodies such as the City Council, the Tourist Board of the Costa del Sol or the de Andalucía Board, among others. As work of promotion of the city, they created, together with the City of Marbella, the Boulevard of Fame of Puerto Banus and Media Awards. 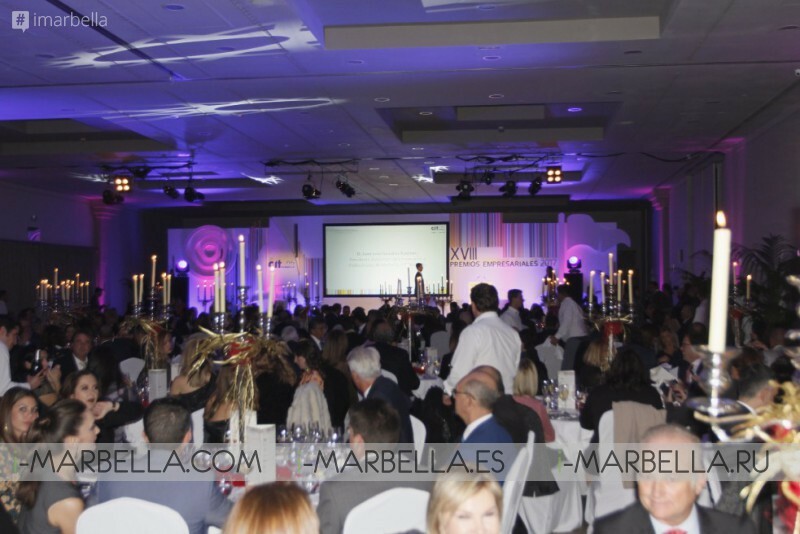 Annually the Association presents the Business Awards in recognition of the business work of the year and the contribution to the development of Marbella. i-Marbella is moving to the video format and here we have our new video news! Follow our channel with the best videos!